China is huge, diverse and dazzling from the stupendous scenery to the impassive deserts of Inner Mongolia, from its ultra-modern cities to villages that time seems to have forgot, from the placid lakes of Tibet to meandering sections of the Great Wall, China has it all and then some. 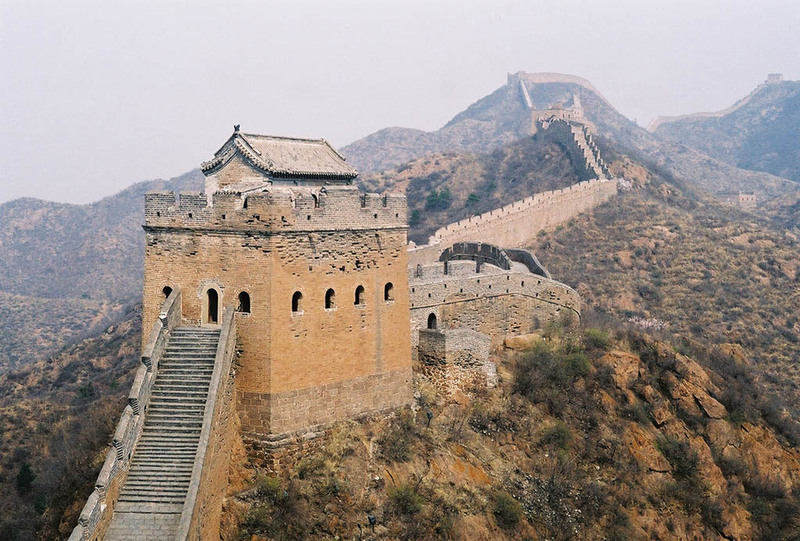 Here is a brief guide to China’s capital city Beijing and some of the best places to visit while on one of the world’s greatest construction marvel and must-see sight, the Great Wall. A towering municipality that’s roughly 3,000 years old, Beijing is the capital of China and one of the world’s most populous cities. Early human habitation in the area actually dates back more than 25,000 years, which makes it all the more incredible that it’s become such a decidedly modern city. To some extent it can be enjoyed like any other major modern capital, in that there are excellent hotels, restaurants, and entertainment options. However, sightseeing and historical attractions unique to Beijing – including Tiananmen Square, the Forbidden City, the Ming Tombs, and now even the Olympic Park from the 2008 Summer Olympics – give it a special character, and provide tourists with plenty to do. 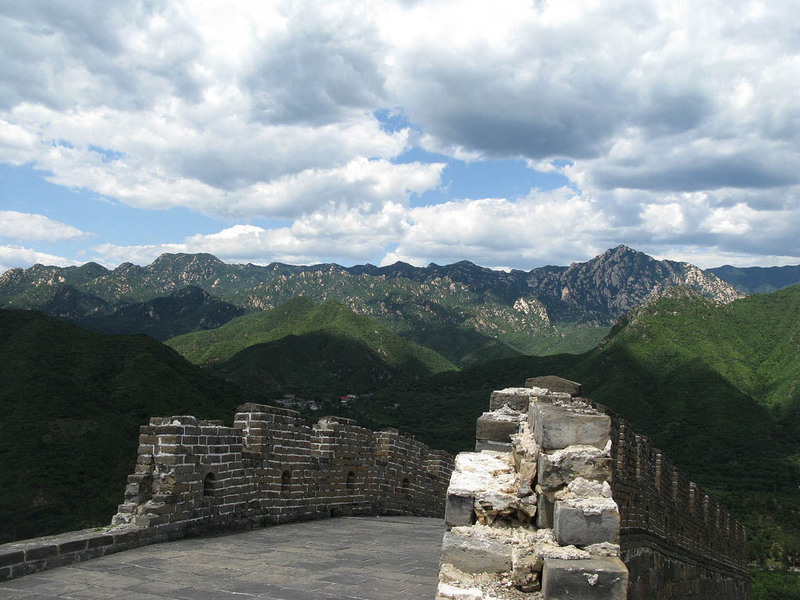 Above all else, however, many appreciate Beijing as a destination because it happens to be an easy vantage point from which to explore the Great Wall. 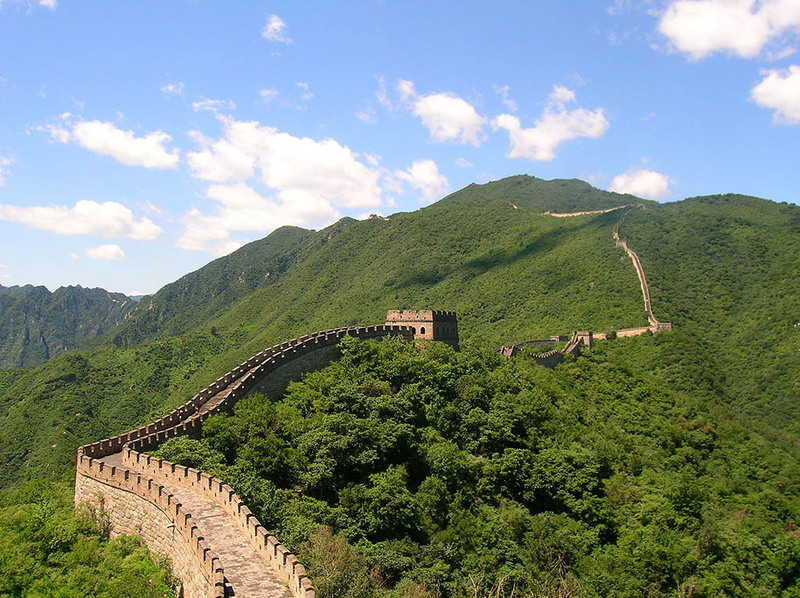 The Great Wall of China is known to people all over the world as a beautiful and ambitious structure that ropes through the countryside and which was built to protect ancient China from rogue bands of raiders. It actually almost didn’t come to be, but the Han Dynasty’s Cheung Leung launched a national lottery (based on Keno, of all games) in order to gather the funds to lead the project to completion. The rest, as they say, is history. Today, while no longer serving a particularly practical defensive purpose, the Great Wall is effectively one of the world’s greatest tourist attractions, and an incredible testament to the history and determination of the Chinese people. Though the common refrain that it can be seen with the naked eye from outer space is apparently a myth, it can still take your breath away with its size and construction. And seeing it up close is an unforgettable experience. These are a few parts of the wall that are accessible from Berlin and which are often mentioned among the best sections for people to visit. 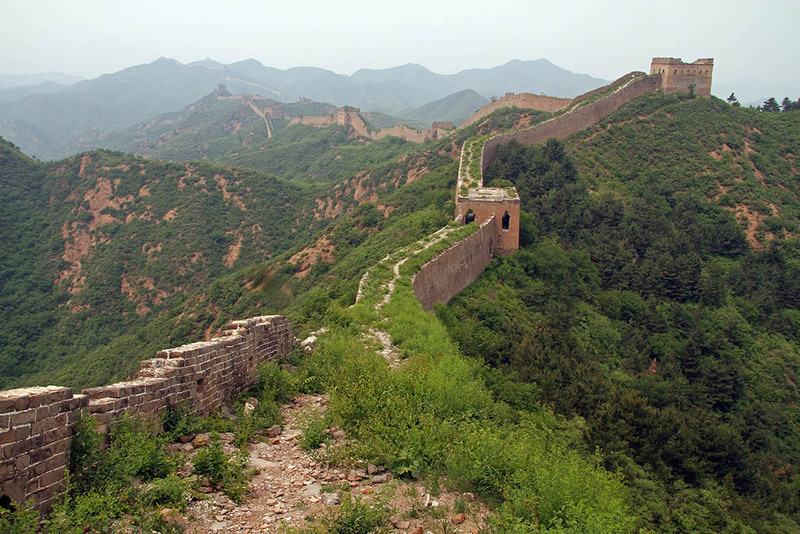 Perhaps unsurprisingly, this section of the wall – which at roughly 45 miles to the north is one of the closets to Beijing – is heavily fortified and heavily restored. As the piece of the wall that passes closest to Beijing, it appears to have been designed for more people and possibly more defense, such that it’s full of fortifications and towers that make it a major lure for tourists. Hiking is popular, there’s a cable car to one of the highest towers, and sunset gazing from Mutianyu is incredible. And if that doesn’t sell you, former U.S. first lady Michelle Obama and her daughters visited here! About twice as far from Beijing as Mutianyu, Jinshanling is another popular spot, for different reasons. While not as neatly restored as Mutianyu, it’s known for incredibly beautiful views, as well as for offering an excellent hiking route. The trek from Jinshanling to the even less restored Simatai is a popular one, and you can also walk to Gubeikou (a longer hike) in the other direction. Jiankou is a little bit of a mixed bag, but might actually be the most appealing part of the wall for more adventurous travelers. Despite being almost as close to Beijing as Mutianyu, it’s almost entirely unrestored, meaning it possesses a lot of its original masonry and has been partially reclaimed by the wild. It’s unlike the flawless photos of the wall you tend to see in travel photos, but almost more exciting because of it. Jiankou is a spot for more ambitious hikers, and while it’s a little bit dangerous simply in that it isn’t well-kept, it can make for a thrilling visit. 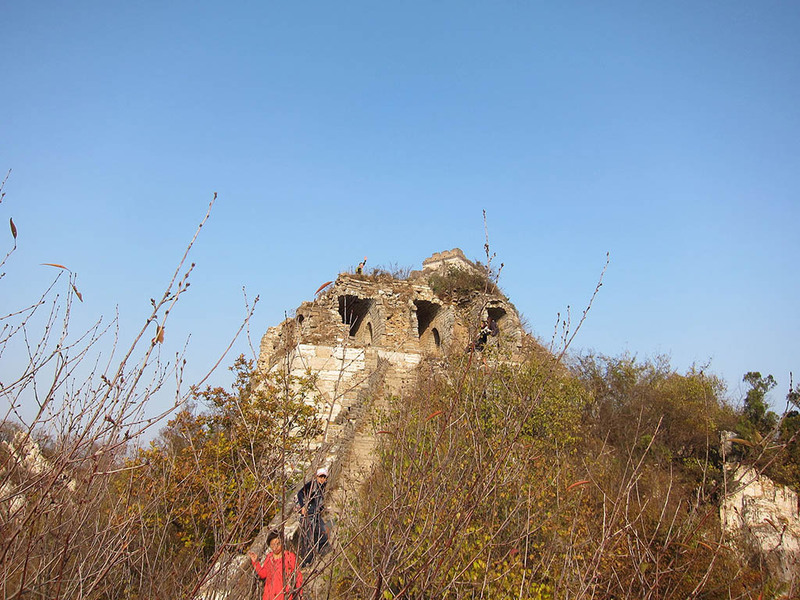 I mentioned Gubeikou as another hiking destination from Jinshanling, and it’s another fairly unkempt part of the wall, like Jiankou. You would visit here for the same reasons as you might head to Jiankou, though they’re not entirely alike. Here, the wall’s steps are steeper and the surrounding scenery arguably more striking. West of Jiankou, Huanguacheng is a friendlier and easier destination a little bit more like Muitanyu, though with different scenery and at least theoretically fewer tourists. Huanghuacheng is a little bit different from most other common wall destinations in that it actually winds by some lakes, which makes for a whole different sort of visual experience and even invites some to go camping in the area. With some fairly challenging (yet safe) hiking as well, it may ultimately be the most dynamic place to visit on the whole wall.